Last year, Mudhoney opened for Pearl Jam at the Spokane Arena. This time they get intimate. Long gone are the days when "Touch Me I'm Sick" rocked an unsatisfied generation and helped catapult grunge from the grey wetness of Seattle into the national spotlight. 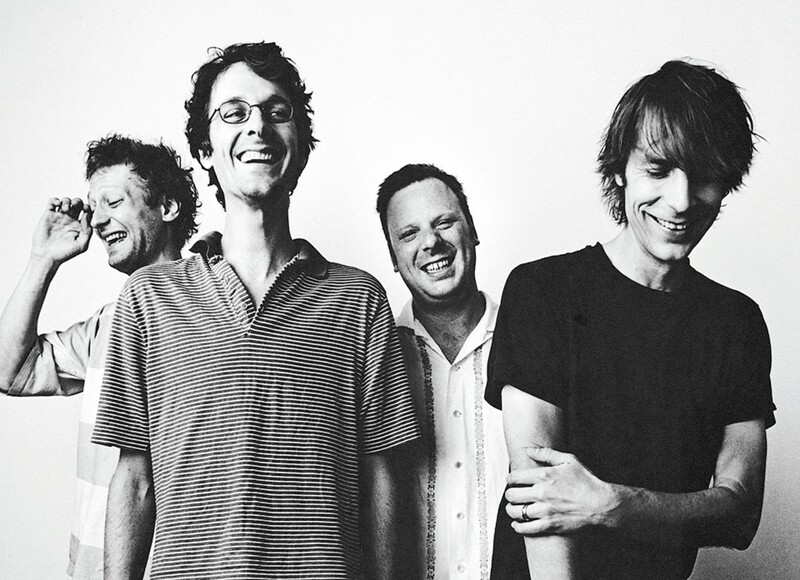 Those were thrilling times for Mudhoney, and as much as there are fans who pine for the early '90s, the band certainly doesn't. "When we started, we were just another punk rock band. We didn't have any grand designs," says Mark Arm (born Mark McLaughlin), taking a break from his day job at Sub Pop Records' warehouse. "This is not our main source of income, so now we do things on our own terms. There's no pressure." Twenty-six years after their formation, they still like each other (only original bassist Matt Lukin has left the group, replaced by Guy Maddison), and they still write music. "We continue because we don't know no better," says Arm, affecting a Southern accent. 2013's Vanishing Point, the band's ninth studio album, is as noisy and gritty as ever, infused with the "we couldn't care less" mentality, but as could be expected, their subject matter has progressed with age. "Chardonnay" bemoans the beverage most adored by "soccer moms" and they even "Sing This Song of Joy." Even if their songs cater to the middle-aged, the bandmates, in their late 40s and early 50s, play their shows with the same ferocity of their youth. The first time Mudhoney played Spokane back in 1991, they were barely into their riotous set at the Big Dipper when the fire marshal demanded the PA system be cut thanks to a majorly oversold show. "That show certainly stands out in my mind," says Arm, frontman of the four-piece. "That was the first time we were shut down within two songs." But that didn't stop the act from coming through; they most recently opened for Pearl Jam at the Spokane Arena last November. This weekend they'll rock the dark, intimate Bartlett space as part of a Northwest tour, which is easiest with work schedules. Arm says that both venues have their place. "If we're opening for a huge band, we hope maybe some of the audience will enjoy what we do, and if they don't, we don't care," Arm explains. "The more intimate spaces provide a place for our loyal fans to come out and let loose."